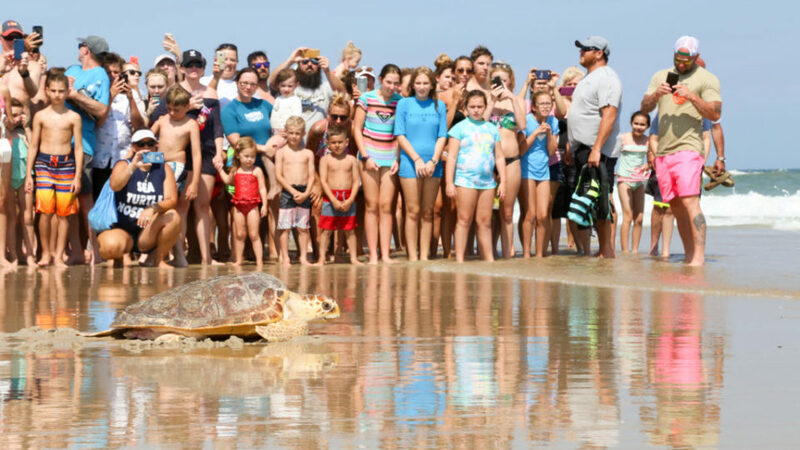 I know I said we would see you in September, but here is a special post about the sea turtle release we helped with recently. 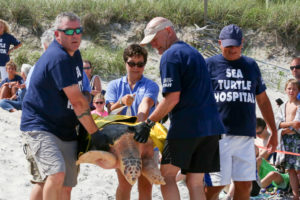 The North Carolina Aquarium at Fort Fisher was honored to assist the The Karen Beasley Sea Turtle Rescue and Rehabilitation Center in the release of sea turtles on Wednesday, June 14th. 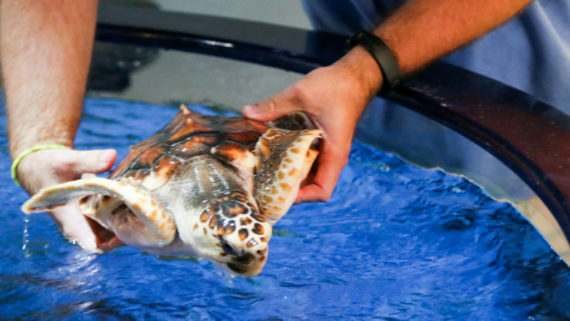 These once injured turtles were cared for at the center by dedicated staff and volunteers until they were healthy enough to return to the ocean. 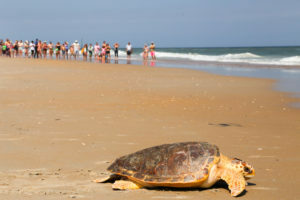 Loggerhead making its way into the ocean after being released. My story starts when we arrive at the Karen Beasley Sea Turtle Rescue and Rehabilitation Center in Surf City, N.C. Several Aquarium team members make the trip from Fort Fisher to Topsail Island to help, at the request of Jean Beasley, the director of the center. We have the chance to walk around the center and look at some of the sea turtles not yet ready to be released. They each have names taped to the side of their pool giving clues about the turtles or the interests of the volunteers. 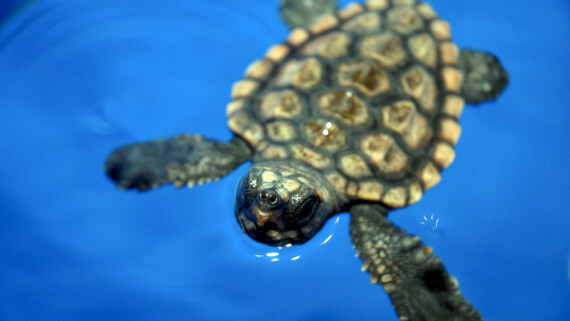 For example, Snooki is a loggerhead that arrived from the New Jersey coast and named for a reality TV personality from the same area. Turtles named Muggle, Crookshanks and Dobby show an appreciation of the “Harry Potter” series. When Jean gives the word, the stars of the release party are secured and moved by van from the Center to the beach. The turtles are greeted by a throng of enthusiastic spectators, eager to see the former patients make their way back home. Jean, surrounded by volunteers, gives a blessing for the animals mentioning people have the capacity to harm these animals with oil spills and plastic pollution, but also can help them recover. 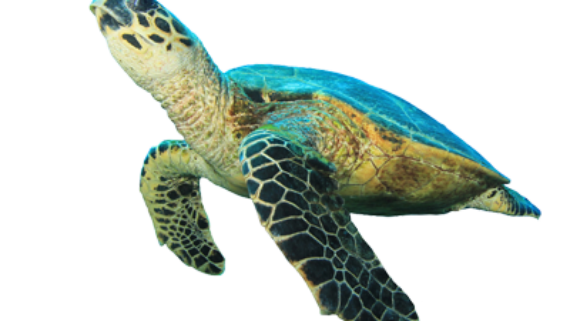 These turtles today give us hope that there are people who care enough to help them and to protect their ocean home. The release begins with a parade of sorts, children hold hand-made signs with each turtle’s name and lead animals and their escorts down the beach one-by one. 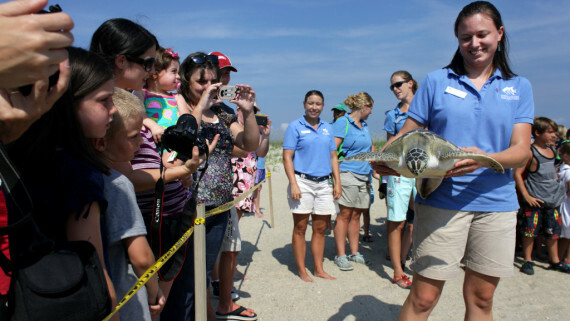 The smaller sea turtles go first, held by summer interns from the Center. The turtles flap their flippers as they spot the ocean. 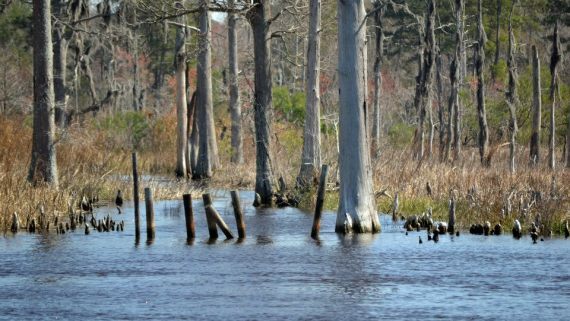 The larger turtles need more people to assist in their journey to water’s edge. I, along with other Aquarium staff, help hold the larger loggerheads, four people to a turtle, and carefully walk down the sandy shoreline before gently placing them on the beach. They make their own way into the waves as the crowd chants their name and watches in awe. 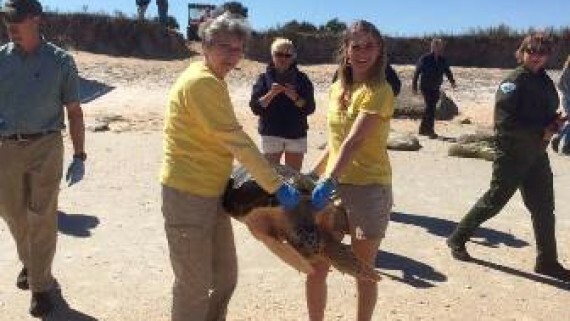 Helping release a loggerhead sea turtle after rehabilitation. I always get emotional at sea turtle releases and nest boils. The turtles are heading out from under our watchful eyes to face many challenges in their watery habitat. 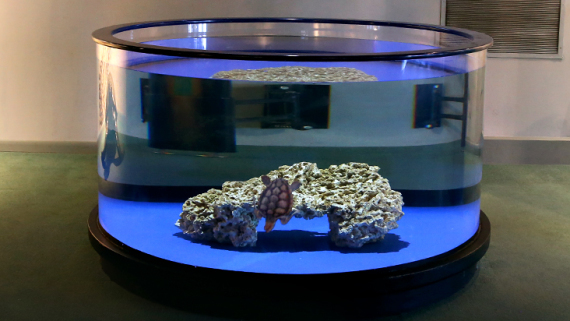 The hatchlings living at the Aquarium are closer each week to becoming yearlings, and to their own release. This week the measurements for turtle A are 1381 grams and 20.9 cm and turtle B is 2038 grams and 23.8 cm. To see how you can use these measurements in your classroom, look at our Hatchling to Yearling lesson plan here.